This article was written by vatti42 and edited by Congress and DarkTyDe of the MAL Articles Club. The two most important characters in almost any story are the protagonist and antagonist – the hero and the villain. This holds true in the majority of anime. However, sometimes the villain is overlooked in favor of cool, unbeatable heroes. When something like this happens, it can be extremely disappointing because, in some cases, villains make the show. An important question is then raised: What makes a good villain? This can be quite the extensive topic, so I will boil my answer down to three main points: A good villain must be a true character and not a plot device, must have some sort of sympathetic quality, and needs to be threatening. Because of the nature of this topic, there will be slight spoilers for how several different villains develop and what happens to them. So turn back now if you do not want any spoilers, slight as they may be, for the following series: JoJo’s Bizarre Adventure: Diamond is Unbreakable, Death Note, Akame Ga Kill, and Overlord. One of the most important parts of making a good villain is somehow getting the viewer to remember that the villain is a character too. Just because they are a villain does not mean that they are void of hopes and dreams, lacking the qualities that make them a person. Most villains are just people who took the wrong path and happen to oppose the hero. A great example comes from JoJo’s Bizarre Adventure: Diamond is Unbreakable with a character by the name of Yoshikage Kira. 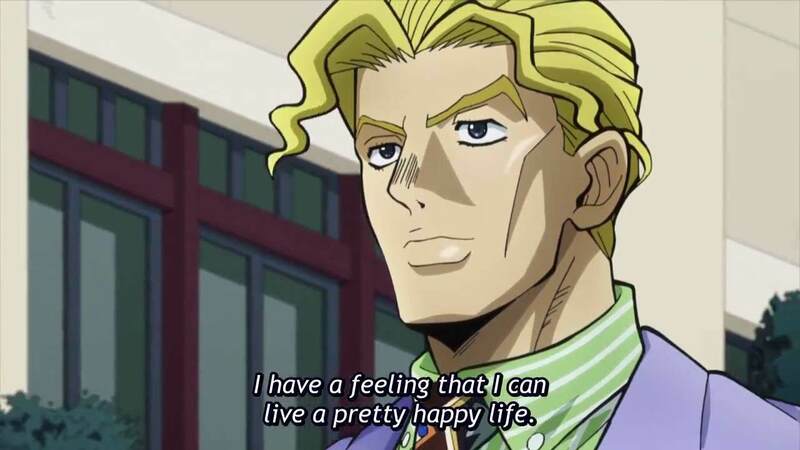 Yoshikage Kira is, by all accounts, your everyman. He enjoys nothing more than living the most normal and average life possible. Kira puts it best himself when he gives a speech to one of the heroes. The speech is quite extensive and he talks about his daily routine while revealing simple facts about himself. If you have not seen the show, you would probably never guess that Kira is also a serial killer who blows up young women and takes their hands (yes… he literally takes their dismembered hands) – certainly not from his speech. The reason this is not immediately apparent is because he is still a human being. Just like the protagonist of an anime, he is not wholly defined by his darker side. Kira is plagued by an irresistible desire to kill. If he did not have this desire, it’s very likely that he would never hurt anyone. More shocking than his guise, however, is the reason he gives for fighting the protagonists of the story. “I take care not to trouble myself with any enemies, like winning or losing, that would cause me to lose sleep at night. Basically, you are a troublesome thing that would hinder my sleep, therefore my enemy.” To Kira, the protagonists of the story are threatening his way of life. To Kira, they are the villains. There seems to be a misconception in a lot of anime that the audience should always root against the villain. Even so, I have found myself rooting for – albeit halfheartedly – my favorite villains in anime. For example, take Light Yagami from Death Note. Now, many people consider Light to be more of an anti-hero than a villain. While I wouldn’t say that this is inaccurate considering the story’s point of view, being the protagonist is different from being a hero. Though he is the protagonist, Light is L’s villain in terms of the story’s conflict and plot. As many consider L to be the hero of the story, that only leaves Light to be the villain. This causes Light’s character to feel more like a villain, and he follows many trends of being one. 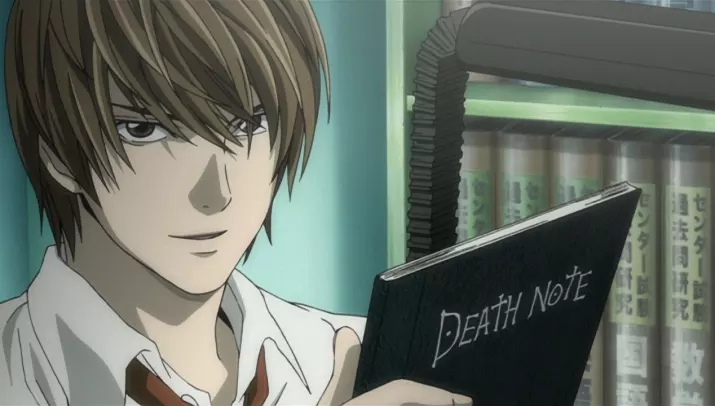 Light Yagami is the owner of the Death Note, a notebook that kills anyone whose name is written in it. He starts as a simple student that just happened to stumble across the notebook one day. He is disgusted with the injustice in the world and, after learning of the notebook’s power, begins using it to kill the people who he thinks deserve it – namely, criminals. However, as the story progresses, Light’s conviction and pride grow until he begins to see himself as a god-like figure, killing anyone who opposes his crusade. While Light is undoubtedly the villain of Death Note, the story is centered around him and not the people trying to stop him. Throughout the show, I began to almost want Light to win, not because of what he was doing, but because I cared about him as a character and his once noble intentions. To be a good character, a villain needs to evoke sympathy and understanding. After all, as stated before, villains have their own reasons for doing what they do. This does not mean that everyone has to be able to accept that reason themselves, but it should be presented in such a way that you can respect it. Ultimately, a bad person is someone who fails to overcome the flaws in their personality and allows themselves to be controlled by said flaws. However, they become a villain when they are dangerous on top of that. A good villain almost always needs to be more powerful and/or more intelligent than the hero throughout most or all of the story. After all, if the hero is not afraid of the villain, why should the viewer be? A villain can either be cunning or powerful. The type of advantage the author gives the villain can completely change the genre of the anime. Light Yagami is more intelligent than almost all of the heroes in Death Note, which makes the anime a psychological thriller. Alternatively, you can have a villain that is more powerful than the heroes, who can be just as dangerous. A villain that exemplifies this is Esdeath from Akame ga Kill. 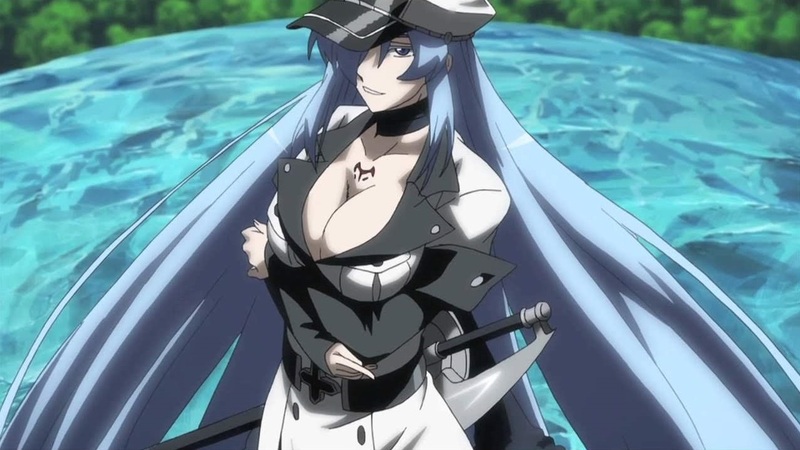 Throughout Akame ga Kill, Esdeath is built up to be the most powerful character in the entire show. The leader of the heroes even goes so far as to say she has the most powerful teigu (magic relic) in the entire world. That teigu gives Esdeath complete dominion over ice. There a few points in the show where you are able to see this in action. In these instances, you see Esdeath freeze an entire attack force or instantly defeat gigantic monsters. These scenes convey the ridiculous power that Esdeath has, which helps to establish her, not only as an extremely dangerous character, but also as the iconic villain of Akame ga Kill – even though not actually the main villain of the anime. If Esdeath were not as powerful as she was, the villains in the show would have been far less threatening. On top of that, Esdeath herself would be a much less interesting character. However, with her power, she serves as a looming doom that the audience knows the heroes will have to deal with, even if they’re not sure how. This last point may seem like common knowledge, but I have seen villains that fail to do even this. A villain needs to pose some sort of threat to the protagonist. If this is not the case, then the villain can come off as just another grunt for the hero to crush. This was the case with Clementine, a minor villain from the anime Overlord. By no means is Clementine a bad character. 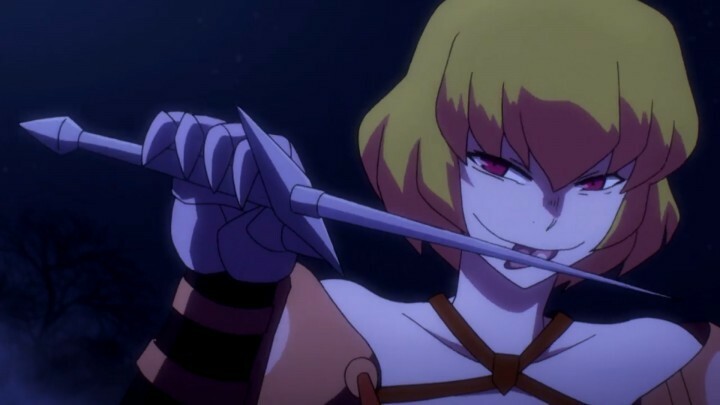 In fact, she is quite a fun and interesting villain. She was full of witty comments and is backed by fantastic voice actors in both Japanese and English. However, thinking about her tends to leave a bad taste in my mouth. The main reason behind this is that she is pitifully weak in comparison to the protagonist. The result of their fight was rather disappointing and did not give Clementine the chance to shine that she deserved. Of course, Overlord is designed as a “wish fulfillment” anime, so it's no surprise that the fight was so one-sided. The part that soured it the most for me, however, was the fact that Clementine actually had a fight with someone else before the hero. If this fight had actually been shown, it would have given us the opportunity to see Clementine fighting against a foe that wasn’t far more powerful than her. In turn, that would have established her power and threat rather than just implying it. In addition to this, there has to be something at stake if the villain were to succeed, something more than the fact that the hero loses (unless of course the death of the hero would have severe consequences). The thing at stake does not necessarily have to be on a worldwide scale. It could be as simple as the loss of a few lives, as was the case with Yoshikage Kira. Good character traits, a certain level of charm, and, of course, a sense of threat can transform a forgettable, mediocre villain into a great villain and a great character overall. A great villain is almost essential in a great anime. Of course, there are exceptions to the qualities I presented. A lot of comedies and other anime are less focused on a villain or have no specific villain at all. Despite that, everyone enjoys a good villain and I hope to see more in the future.